Oops sorry! I got side tracked there. The Sound of Music is my all time favorite movie and I saw it on TV recently and the songs keep playing over and over in my head. What I really meant was that it began with just one suggestion. That is all it took. Just one. It began when I was told that it was a great idea to keep photo's of our home online because in the event of a fire they would be accessible to me from any computer. What all began with that you ask? My discovery of a whole new community of other primitive decor lovers. Until then I had a few friends that liked primitive too, but the gals that were my shopping and decorating companions moved south over the last several years to states with less expensive real estate. My other friends and my family do enjoy our home, but they don't decorate the same way or at least the to same extent that I do. My mom and my friend Chris are always agreeable to making a trip to some of my favorite shopping spots, but many times I'll head out alone. So for awhile, I just plodded along by myself. I continued to decorate this way because it is what felt right to me. I enjoyed seeing other homes in magazines, but I really didn't know many gals to chat with about what I liked so much. 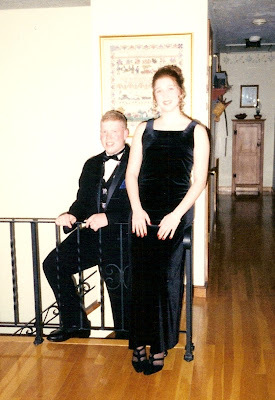 So back in the fall of 07, I had no idea just HOW to put our pictures online - just in case - as was suggested and I had no idea what would happen when I finally did! Then, as if it was meant to be, I got my November 2007 Holiday issue of Country Sampler and there was Jennifer Bowman's house complete with her Webshots address. From there I found my way to the Webshots site and found even I could upload there. I was still a newbie so I didn't realize I had made my photo's public, and soon I was receiving comments from other gals and they told me how to find my way to their albums and a whole new world opened up to me. Soon there was a great community of us sharing our homes, our newest T2T's or makeovers, our shopping finds and our seasonal decor. Those gals introduced me to some primitive forums and that expanded my world even more. That is how Country Sampler and Mercantile Gatherings eventually both found me. And then when I discovered blogging, that expanded my world even further. Recently I moved my albums to Picture Trail because I like the format better. There are many wonderful homes and gals there as well. And all of those places are just some of the places to get a prim fix when I need it. If we want to, we can now spend hours and hours online reading blogs, looking at home albums, and chatting in forums about what we love. It is just amazing. I feel like after years and years I have finally come home to a community of primitive decorators, and it feels so good t be part of this wonderful group! I have met the nicest people. And the most talented people too. Like Char, over at the Pickled Pepper Patch. She has many great crafting and T2T ideas. She is now on the staff of both Mercantile Gatherings, and my favorite online primitive website and forum, APP. Char recently had a giveaway and I won the second prize of this awesome fall sign! I can't wait until it is time to put it out! You know how much I love the fall! Thanks Char - it is wonderful! This is a good time to mention something that has been on my mind recently. I have made the decision to no longer enter give-aways or give out my home address because I have been blessed many times winning. And I have blessed and honored with so many RAK's and gifts that I am totally overwhelmed with so much love and kindness. I just feel now it times to spread the love around to other deserving bloggers as well. Thank you so much for understanding. Speaking of APP, I just learned that another one of our members, Susan from Winterberry Farms, will have her home photographed for Country Sampler in September! That is one shoot I would love to be on. Her home is just gorgeous. By the way, APP has a blog now too. It's a great way to keep track of the newest happenings in the prim world. Country Sampler fans will be excited to read about how they are working with APP to find even more homes to photograph! Click here to read all about it. Some of those prim friends I have met in the last few years and I have had some interesting discussions about how and when do we know when we have too much clutter. It also seems to be a common thread in many blogs lately too. I am often asked my opinion and asked how I get 'my look', which to the non prim world may seem very cluttered, but to many in the prim world, it is not cluttered at all. Now I have a confession to make... I am NO EXPERT. LOL SURPRISE SURPRISE!! And I do not like giving advice unless it is in a general sense. Since our home was in the magazines, I have gotten dozens and dozens of emails and sometimes phone calls from people wanting me to tell them what to do in their rooms. I just know what I like in my home, given my furnishings and our lifestyle. All of our rooms just evolved over time. Never have I started from scratch in any room. When it comes to the placement and displays of collectibles and treasures, over the years I have picked up some advice and tips from home decorating parties, magazines, books, interior designers, HGTV, and the likes. When I saw homes I liked in magazines or online, I would notice the a common thread was that the surfaces of counter, shelves, etc. were not too jam packed with dozens of items. The walls didn't have dozens of little things all over them. Large pieces anchored walls and the sides of the room. Often, odd numbers are used in decorating. Shelves and pictures are not hung too high on the walls. Not everything is covered in pip berries and vines. Not everything is stenciled or decorated. Nice pieces are left to speak for themselves. Like I said, I know what I like, what works for me and I was finding that if there was too much clutter, nothing stood out but the clutter. I saw that there might be one large shelf filled with items, but they all had weight and they all related to each other somehow and that shelf was THE focal point on the wall. The rest of that wall was kept fairly simple. I looked at how the rooms seemed balanced, color as well the furnishings. So with all those resources at hand, I looked around our home and I got tough with myself. I started to weed out and pare down. And it can be tough. I finally have some discipline when it comes to my home! I went back through all my old magazines, books and the hundreds of pictures and articles I have saved since the early 80's once again. I found the homes that still continued to speak to me. And the common thread was that I actually saw the wonderful pieces they owned. This works for any style of decor if you are trying to simplify and weed out. It works really well for the primitive colonial look I love. I started with one shelf and worked from there. I now have a cupboard that I use to store things I love but have no room for at the moment. I can switch things out when the mood strikes. I also have given things away. And it sure helps that only 2 people live in a home that once housed 4 people. It truly does make a difference. I have so much more room to display my favorite things, and the clutter of every day 'stuff' is easier to put away when there are no kid's or teen's things around to fill up the spaces. No school supplies, no lunch boxes, no sports equipment, no sippy cups etc. The closets in their bedrooms are now MINE! MINE! all MINE! Now don't get the wrong idea. Jen didn't move out until she was 26 so I wasn't rushing my kids out just for their rooms. But it sure was fun claiming the space when they were gone! That is partly how my style has evolved, and it is still evolving. Sometimes my mom asks me if I am 'done' changing things around. My answer is always - never! OH and by the way, DH says if you have to ask yourself the question "do I have too much clutter?" then you probably already feel you do! Leave it to a non prim guy to find the simple answer. 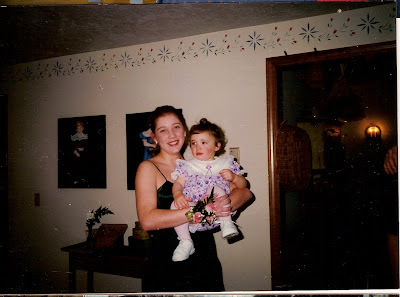 And to see some of the evolution from my decor of long ago, and just for fun, I scanned some old photo's that show how our home looked over the years since we moved here in 1986. 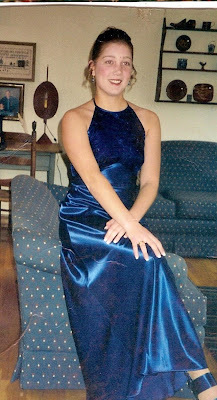 I sure wish I had taken before pictures from the day we moved in, when there was velvet flocked wallpaper in the halls. Metallic wall paper in the bathrooms. The master bath had fancy Italian tiles on the tub wall with metallic gold veins in it. The Formica in the kitchen was grayish olive, very glossy and with metal edging. You get the idea I am sure! The second week we were here, I started in the kitchen stripping wallpaper and I have never looked back! You can see how I used to use colonial and delft blue all the time. It is what I saw in homes in Colonial Homes and Early American Homes magazines and some of my resource books too. I never used the mauve that was popular at the time because I was trying to get a more colonial look - not the trend of the day. 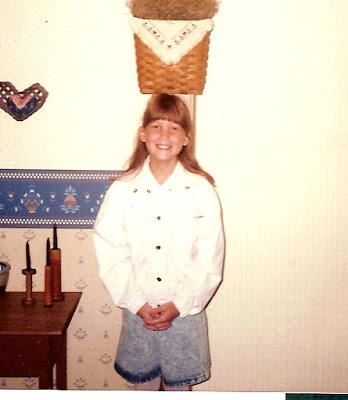 This is when I was still into mini print wall papers and when I was selling Longaberger baskets. 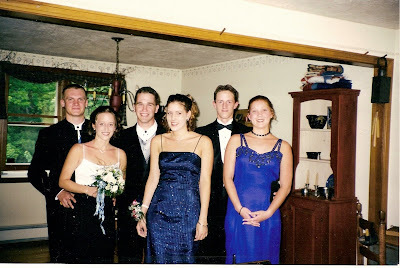 This was 20+ years ago! The wallpaper came down and the walls were all stenciled. And you can see my pewter. My taste was really starting to evolve. This was 18 years ago. And you can see my primitive portraits behind Jen and my niece Hannah. Hannah turns 14 in December so you can this was quite awhile ago. And more blue and one of my jug lamps. Hannah with Jay. If you look past the kids down the hall, you can see the jelly cupboard that is now black and now in my office. This picture is 13 years old. There is my whale shelf in the background... and my little desk is still in the same spot. Sometimes something works so well, even I don't move it! 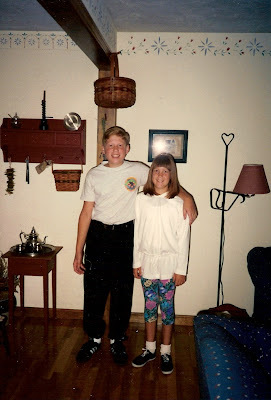 If you can look over the kids heads you can see the swags and grapevines I had on the dining room windows. And my favorite red cupboard! This was taken 10 years ago. 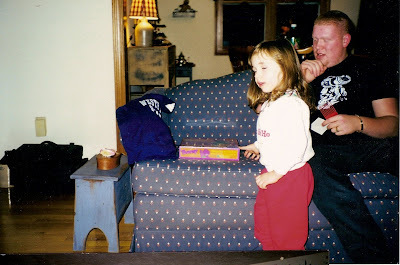 And this was taken 20+ years ago... see the delft blue plaid couch? And the ugly paneling in our family room that is now painted? 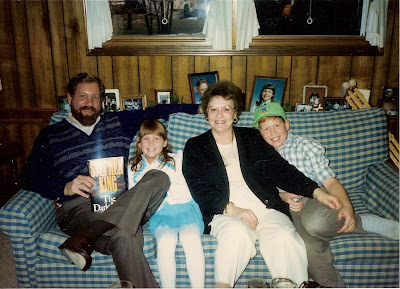 That's DH with the kids and my mom. Thanks for taking that blast into the past with me. WOW - we've come a long way baby!!! She loved it! I plan to spend many hours with her on my lap reading to her. I hope to instill in her my love of reading. 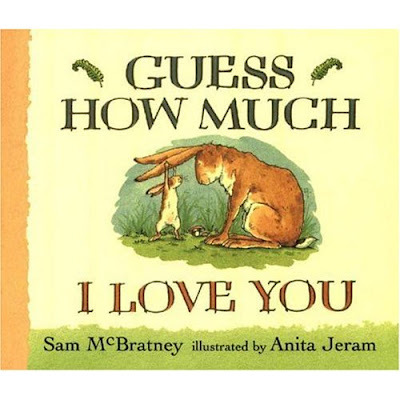 I have a big collection of books from when Jay and Jen were growing up and so many more I love from teaching preschool. I have many craft and cooking ideas to go along with the books too. We are going to have so much fun! I love this picture that Jay sent me. Can you tell her daddy was a football star in high school and college? I did do some stitching this week too. 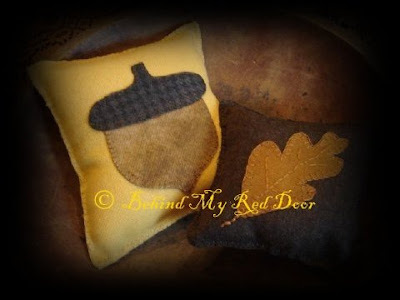 With the monsoons we had this weekend, I found some time to stitch up these two fall pillows for a sweet blogging friend. I hope she receives them today. Make sure to head over to Leslie's to see what other bloggers are doing this summer! Tomorrow evening while most of the guys play league golf, I am having the girls in my side of the family that live locally over for dinner. I am planning a salad bar and my mom is bringing the apple squares we all love. My sister and nieces haven't met Liliana yet so I am looking forward to some great pictures! I was floored today when I saw how many followers I have. One of my fellow bloggers already said this so well - I prefer to think of it as having you join me, rather than follow me. Thank you to all of you who do join me here on my blog! I really do appreciate each and everyone of you. Every time I sit down to make a post, I am writing about something near and dear to me, while hoping very much that it is of interest to you as well. And seeing that number grow, I think I am going to need to celebrate it with a give away of some type in the coming weeks. Of course it will have to be fall related. Stay tuned for more info as I put it together.